Louder than a Bomb Cincinnati poetry slam gives local youth a chance to speak out. The Louder Than a Bomb poetry slam was created to give young people a forum to speak out and to be heard. Started in Chicago in 2001, Louder Than a Bomb is the largest youth poetry slam in the world. The poetry contest was brought to Cincinnati in 2015, enabling young people in our region to hear one another’s stories and share experiences through spoken word performances. Joining us to discuss Louder Than a Bomb Cincinnati are Director of the TAFT Research Center and Professor at the University of Cincinnati, Dr. Adrian Parr; and poet and performer Siri Imani. 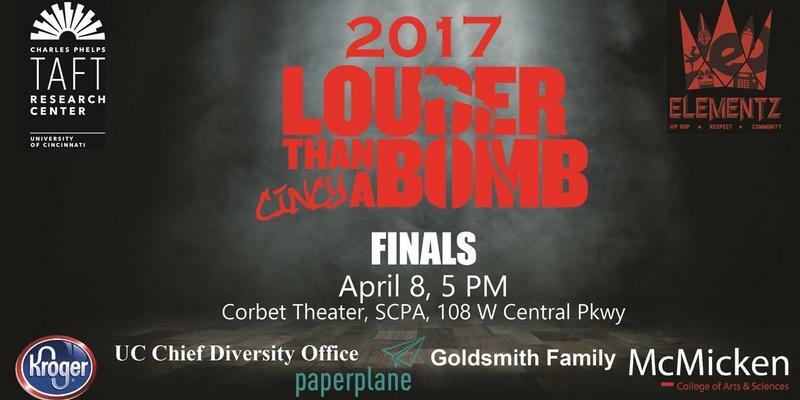 The finals for the local contest in Cincinnati will take place at 5 p.m. April 8 in the Corbett Theater at the School for Creative and Performing Arts. For more information, click here.